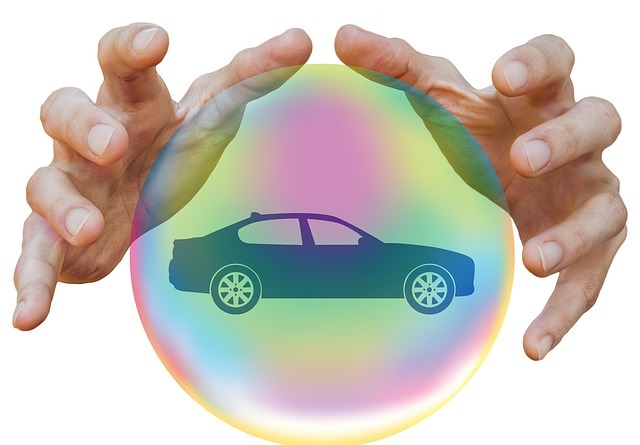 Comprehensive car insurance coverage pays for damage or loss to your car that result from causes other than collision. Most comprehensive coverages reimburse you for losses in situations such as hail, wind, fire, vandalism, theft, or damage caused by falling objects like trees or debris. One situation where comprehensive coverage may cover you in a car accident is if you are in a collision with an animal like a deer. In this situation, comprehensive coverage often will pay for the repair or replacement of your car. While comprehensive coverage can be extremely helpful in certain instances, it does not provide you with coverage for damages after a crash with another car or vehicle. Instead, the liability and collision coverage provisions of an auto insurance policy will be important factors for determining how to get paid after a car accident. Your car insurance policy is a lengthy document with many definitions, terms and provisions. The purpose is to explain all the details of your coverage and what limitations or exclusions may apply. However, the average person usually will not read - much less understand - the legalese their car insurance policy. Liability: This covers the damages you cause others when you are responsible for a car accident. There are two types of liability coverage: bodily injury liability (for damages arising from injuries, such as medical bills) and property damage liability (for damages to one's property, like a car). It's important to remember that liability coverage only pays for another person’s damages and not damages you suffered. Uninsured and underinsured motorist coverage: This is coverage pays for your damages when the at-fault driver has no car insurance or when the at-fault party's insurance isn’t enough to cover your damages. This type of coverage can be helpful in hit-and-run accidents or in accidents with drivers who only carry the state-mandated minimum amount of liability coverage. As we have discussed previously, the minimum amount of liability coverage required in Kansas and Missouri is simply not enough. Collision: Collision insurance covers damage to your car if you’re in a crash with another vehicle or object, regardless of whether you or another person was at fault for the accident. There are other types of car insurance coverages too. For example, in Kansas, personal injury protection (PIP) coverage is required, which pays for your and your passengers’ medical bills and income loss up to the limits you purchase, regardless of who was at fault for the crash. In Missouri, you may consider adding an optional coverage known as medical payments (MedPay) coverage. Like PIP in Kansas, MedPay will reimburse you for your out-of-pocket medical expenses up to the limits you purchase, regardless of who caused the accident. Collision and comprehensive coverages are not mandatory insurance coverage in Kansas or Missouri, so you should confirm if you have them included on your policy. However, if you purchased your car with a loan, most car lenders require this additional coverage to protect the loan collateral. Have a question about car insurance or a legal issue after a car accident in Kansas City or elsewhere in Kansas or Missouri? Our Kansas City car accident law firm is ready to help. Contact us today at 816-203-0143 today for a free, no obligation consultation. We can answer your questions, explain your legal options, and identify what compensation you may be able to recover for your injuries or other damages. Call us today!